Does Your Car Struggle in the Morning? Much like yourself, your car has little interest in waking up and immediately starting to work. This article has some great information on how you can change that behavior. Nobody likes to wake up and immediately start working or running around the streets. And while you may enjoy a shower and a couple of cups of coffee to help you get started in the morning, the same isn’t going to work for your vehicle. If you are used to letting your car warm-up in the morning while you get it packed or finish preparing yourself, Mooresville Synthetic Oil has a great post to share with information on how this could actually be causing your engine damage and how you can avoid it. Why Is a Cold Engine an Unhappy One? Inside your engine is a range of parts, varying in size and function, but all with one thing in common. They are all made of metal. With the goal of getting your engine going and keeping it running, these metal parts interact with each other, grinding, sliding, and bumping up against one another. Every time that you start your car, all of these parts are immediately called into action to start work, whether they are ready or not. As you can likely imagine, this leads to a serious amount of friction which works against your engine, causing serious damage. Your engine’s defense against friction and the problems which come with it is your engine oil. Engine oil is a relatively thick fluid which, when poured into your engine, makes its way around each of the metal parts, protecting them in a thin layer of film. This barrier or protection works to reduce friction by encouraging smooth and friction-less interactions. Click here to buy Signature Series 0W-40 Synthetic Motor Oil and help your engine to get started in the morning with a synthetic oil change in High Point, NC. If you aren’t sure this is the best product suited to your vehicle, speak with a friendly expert at Mooresville Synthetic Oil today by calling (336) 247-0212. Alternatively, check out the online store for further information and products. What Does Warming up Your Engine Do? With the very basics of your engine covered, it’s time to tackle the action of warming up your car each morning. If you use conventional oil in your vehicle or the oil inside is coming to the end of its use-life, then when the temperature starts to drop, it becomes thick and clumpy. When this happens, instead of protecting your engine parts, it clumps together in random parts of your engine, leaving each of the parts relatively unprotected. In order for it to become thin and do its job, it needs to warm up. In reality, the act of warming up your engine is really the act of warming up your engine oil. 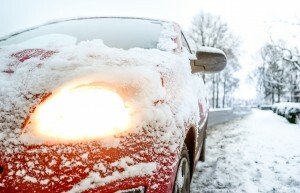 Does this mean that your engine parts are unprotected while it’s being warmed up? In short - yes. Until your engine oil has warmed up enough to return to its regular consistency and provide thorough protection to your engine, your engine is operating unprotected. This causes two serious problems: Engine Wear Each time that these metal parts interact with each other without the protection of engine oil, they slowly chip away at each other, causing small shards of metal to come away from each part. This happens slowly so that it isn’t immediately noticeable, however, over a short course of time, it results in engine parts which need to be replaced earlier than they should be. If your mechanic has ever mentioned the term ‘engine wear’ to you then you know it can be costly. Further damage and performance reduction Each time small shards of metal are chipped away, they make their way through your engine and its fluid lines. As they travel, they not only scrape against your engine parts, but they can also become lodged in between parts. This can cause a serious reduction in the performance of your vehicle along with causing problems of its own. The easiest way to combat this type of damage and improve your vehicle’s performance during cold mornings is with a synthetic oil change. Synthetic oil has been designed to maintain its thin fluid consistency during both the cold and the heat. This means that, even as the temperatures drop overnight, when you switch your engine on in the cold morning, synthetic oil hasn’t moved and is still providing protection, meaning that your engine is ready to start whenever you are. To find out more or for help getting the right synthetic oil for your vehicle, speak with an expert on the subject. Call Mooresville Synthetic Oil at (336) 247-0212 and have a friendly chat about your model of vehicle and learn more about how a simple and quick synthetic oil change in High Point, NC can work for you.